At the beginning of 2019, God has led us in a new and exciting direction. The traditional Sunday morning church services are a great way to worship God and to learn scripture. Nothing will change with our Sunday services. With that being said, Sunday service by itself is not the complete church experience that we read about in the Bible. Very few people on Sunday mornings get to contribute equally as a "body" would suggest. 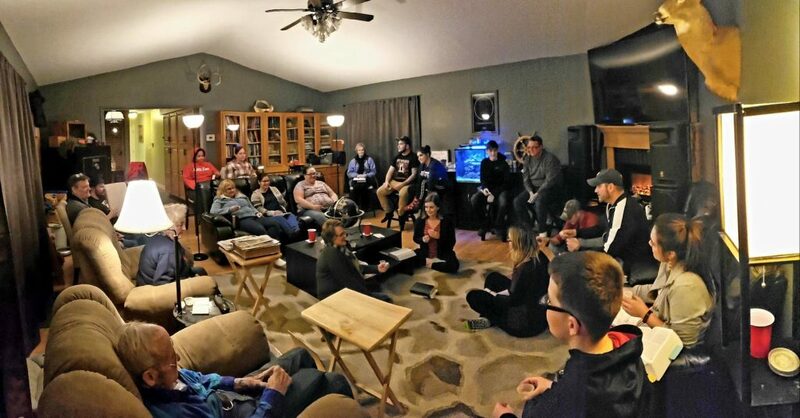 So we've added church gatherings in homes during the week to create disciples more effectively. During these home church gatherings, we focus on the same 4 things that the early home church did in Acts 2:42: Food & fellowship, communion, prayer, and the apostles teaching. All believers who come take turns sharing what they learned from their weekly scripture reading. They also take turns praying, leading communion, and getting to know each other more. If you are interested in joining a house church or if you have more questions, please call pastor Brian at (419) 656-0412.